A couple of weeks ago, I needed to take my car in for routine maintenance. When they told me there was a wait time of 90+ minutes, I said that was no problem and asked that they just call me when my car was ready. Lucky for me, my auto shop of choice is not too terribly far from Oaks Bottom, and I was prepared with my camera for just this possibility. Needless to say, I was not at all disappointed with the need to “kill some time” by going birding. When out birding, I can make a walking a mile take forever; in a short window of only about 90 minutes, I was only about to do about half of the trail running through the wildlife reserve. There was still plenty to see; here is a selection of some of my favorite images from the day. 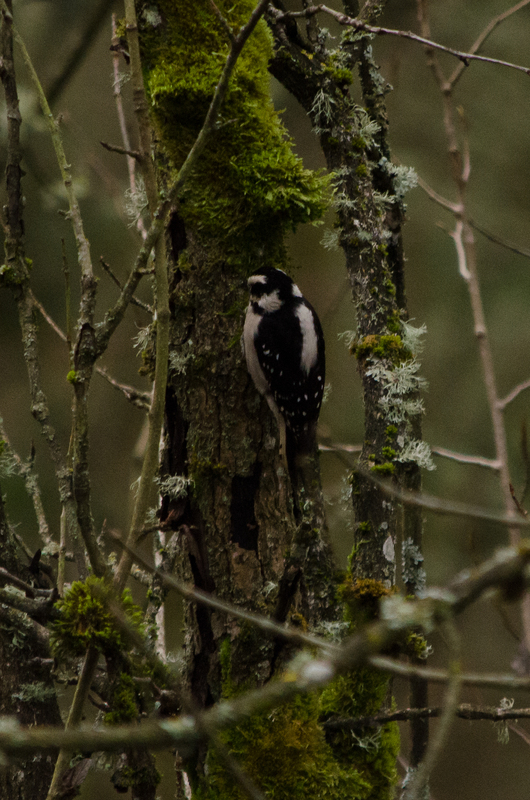 Right near where the Bluff Trail forks, there was a great gathering of small birds. 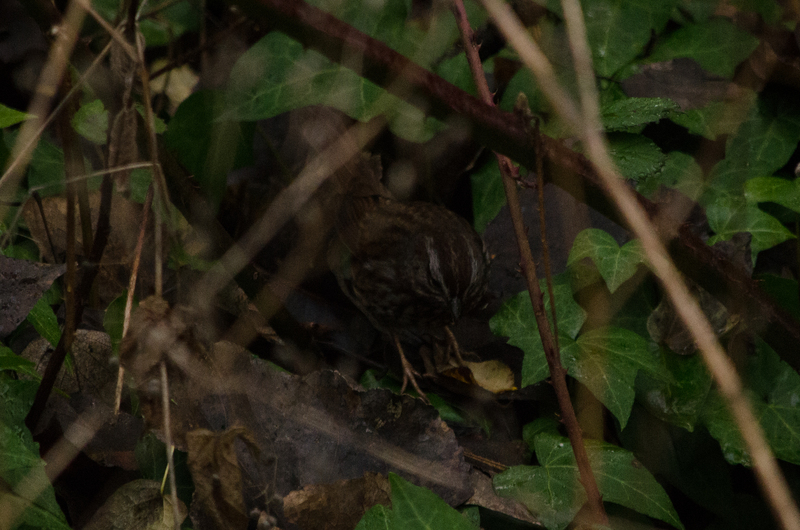 Song sparrows and Bewick’s wren hopped through the low foliage. 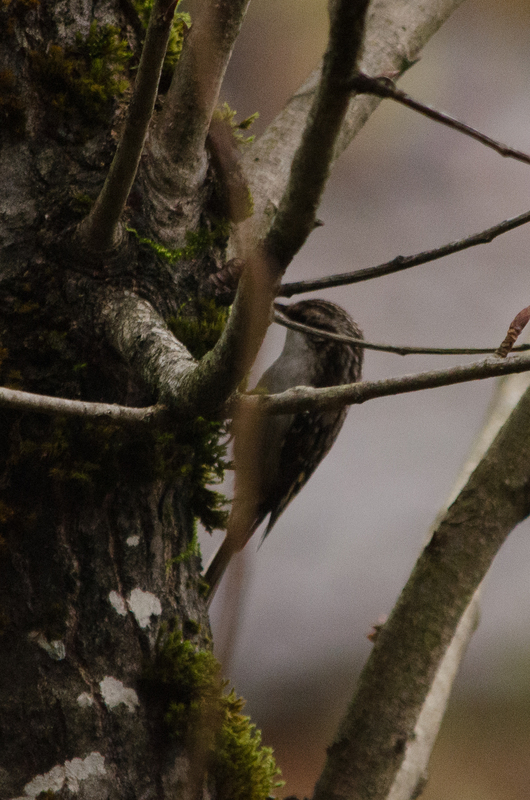 A couple of brown creepers worked their way up the tree trunks searching out insects. A male lesser goldfinch watched me from above. 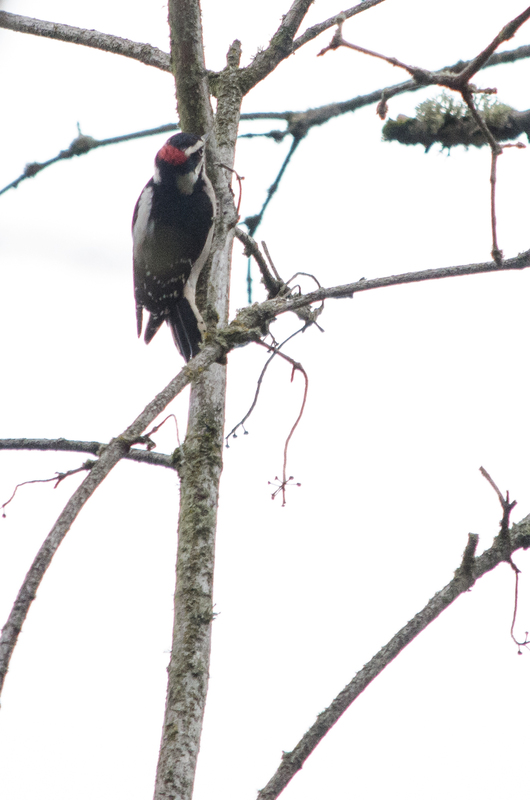 A pair of downy woodpeckers moved from branch to branch looking for a meal. 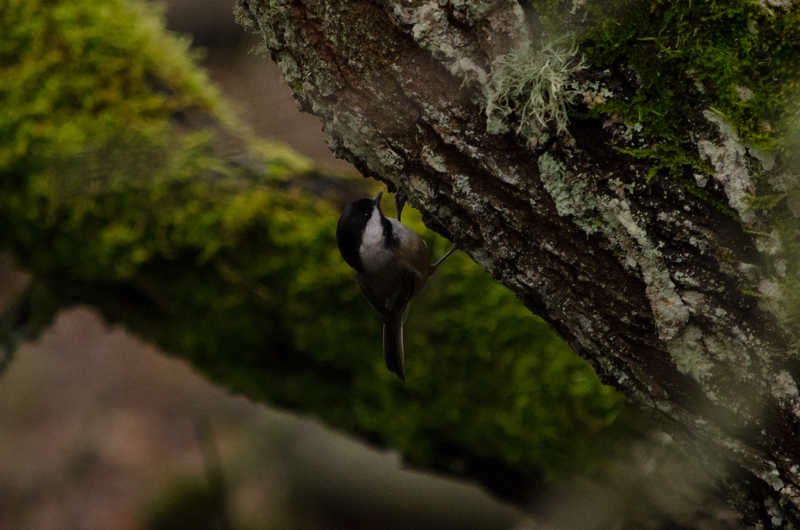 Not high above the ground, a black-capped chickadee performed some acrobatics, hanging precariously from the bark of a tree. 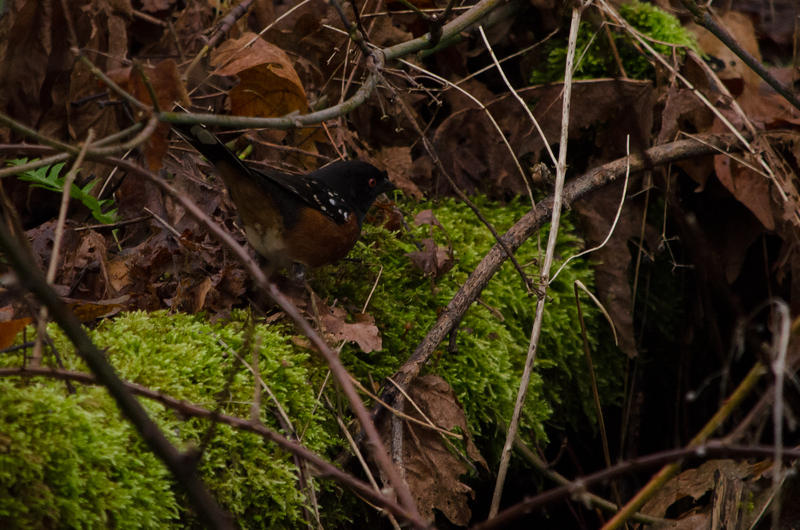 Amid some dry, brown leaves, a spotted towhee hopped along a mossy log. 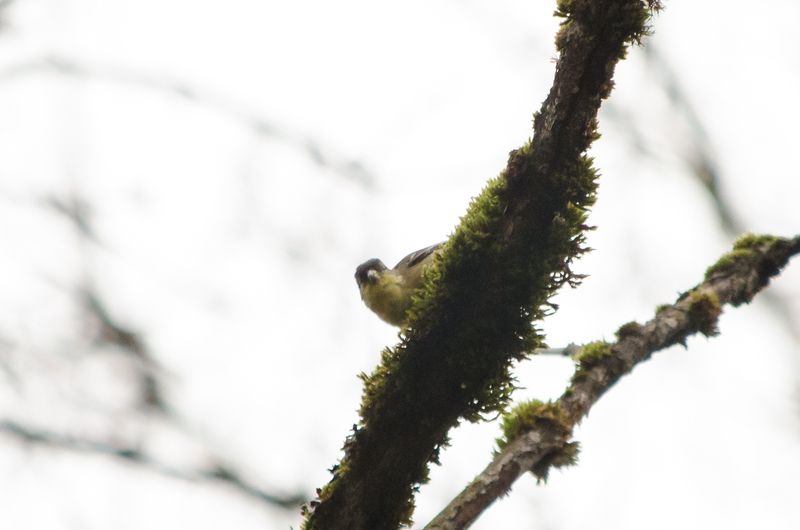 A golden-crowned kinglet did some stunts of its own, long slender legs letting it hang from all angels as it flit from place to place. 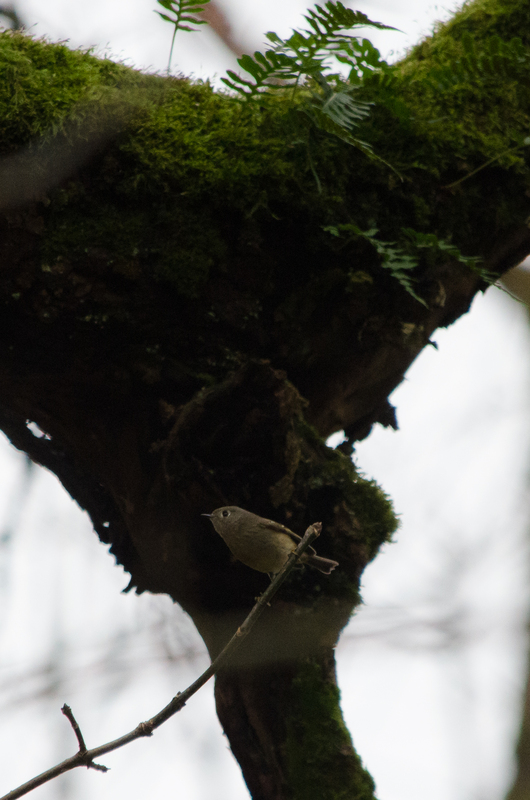 Its cousin, the ruby-crowned kinglet, was also nearby. 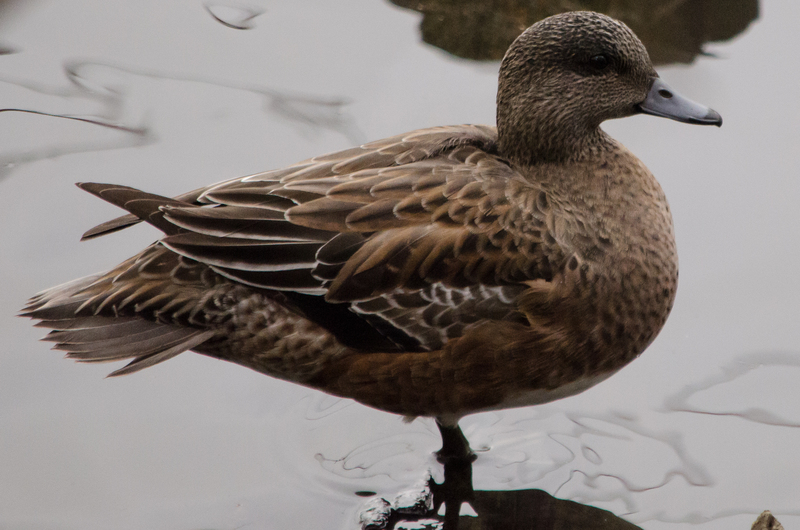 Down where the water of the lake came up near the path, several duck species were intermingling. 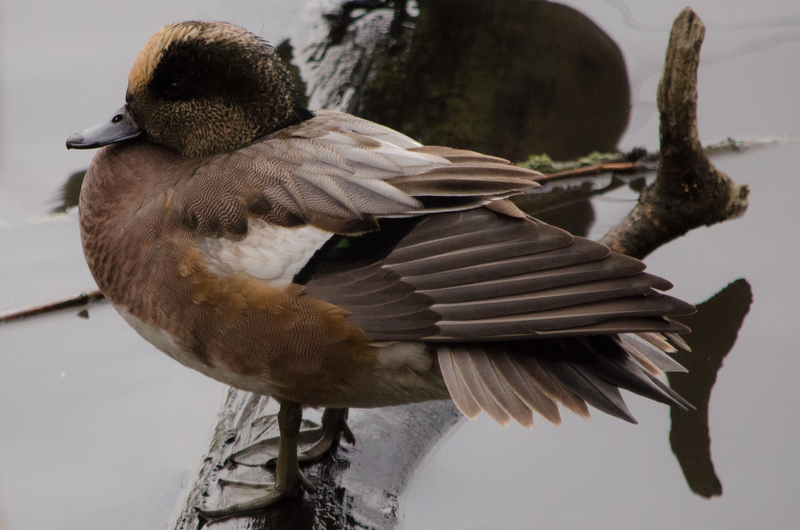 A pair of American wigeons posed nicely for some portraits. 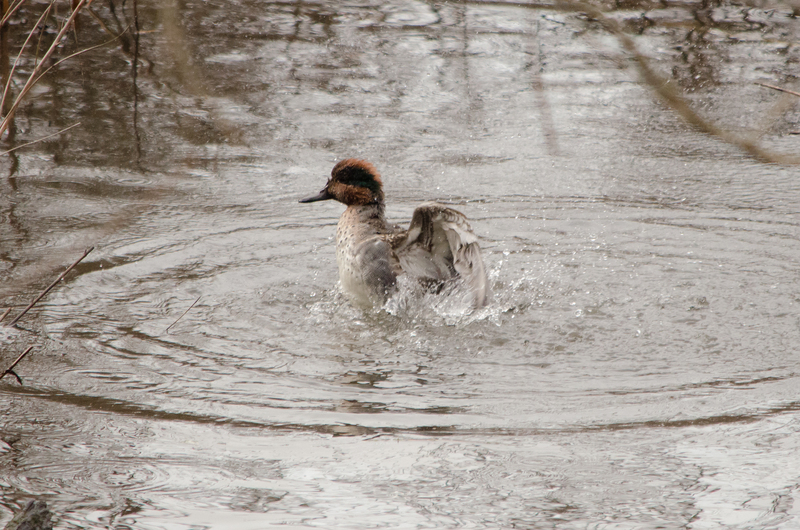 A green-winged teal male splashed around, drawing attention to itself. 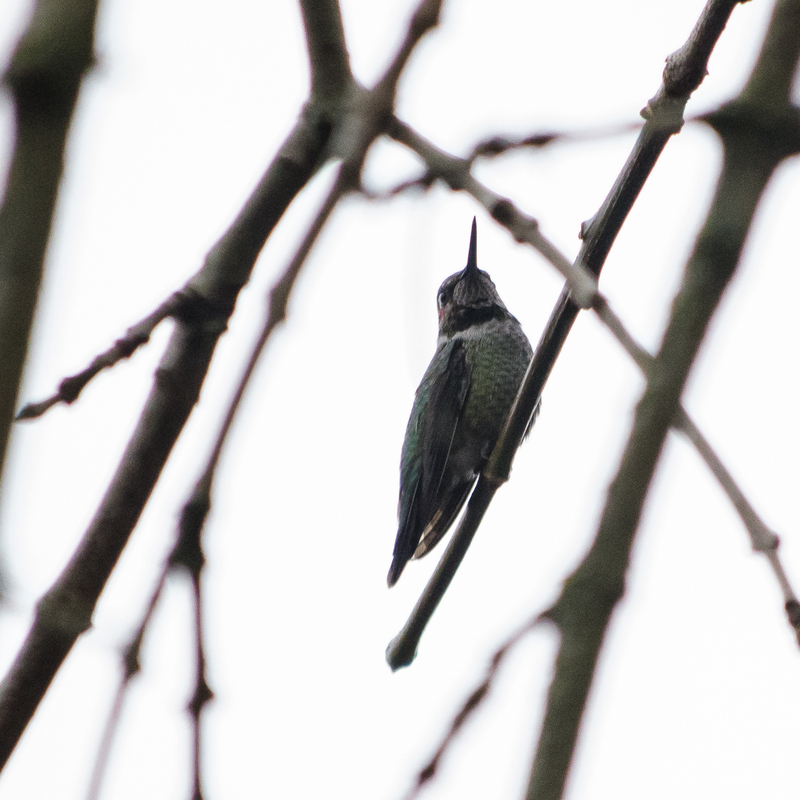 An immature male Anna’s hummingbird landed overhead, appearing unimpressed with the duck’s display. For more images from my birding excursions, be sure to visit my Flickr site. Comments are always welcome! What a wonderful way to wait for car repairs! 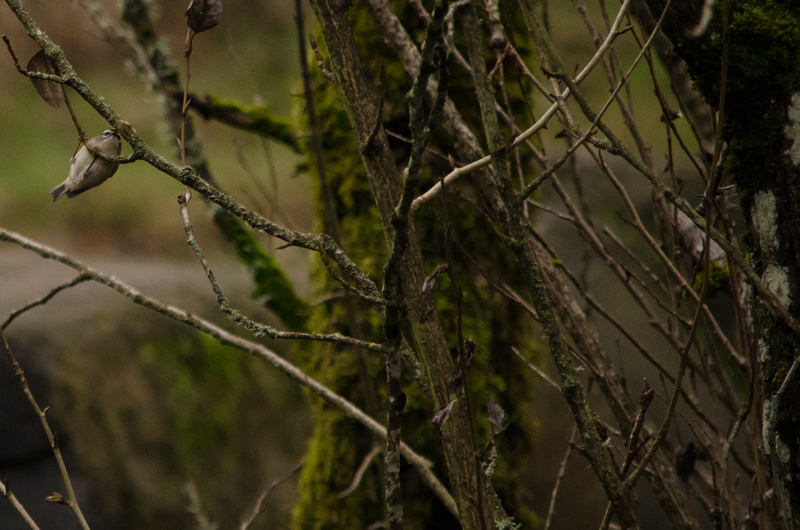 Gorgeous photos of my favorite subject – birds! Hope you are enjoying your weekend! Thanks Sheila! I thought it was a great way to spend the time, too. Weekend has been full of yard-based bird watching and now football. 🙂 Hope you are having a good one!